In any distribution network, substation serves as the most important hub. At such an important hub, it is imperative that all the electrical equipment, distribution feeders and the other components associated with the distribution system, work in tandem, and complement each other, to be able to increase the reliability of the entire distribution network. 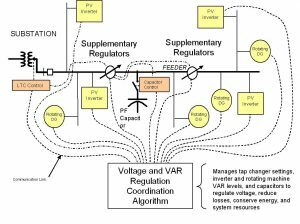 At such a crucial hub, employing “volt regulation controller” also known as “VAR Control”, is deemed to be necessary to be able to control the voltage devices installed in the substations. 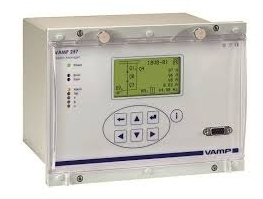 VAR controls are regularly monitored through expert algorithms that help all the devices of the distribution network to work in conjunction, thus reducing the line losses. By using mitigation equipment in conjunction with the distribution feeders, quality of power can be enhanced. One can also make use of power quality monitoring equipment in tandem with the substation RTU feeders, which is capable of monitoring, detecting and correcting power quality problems. This will increase the customer satisfaction by providing them quality power. 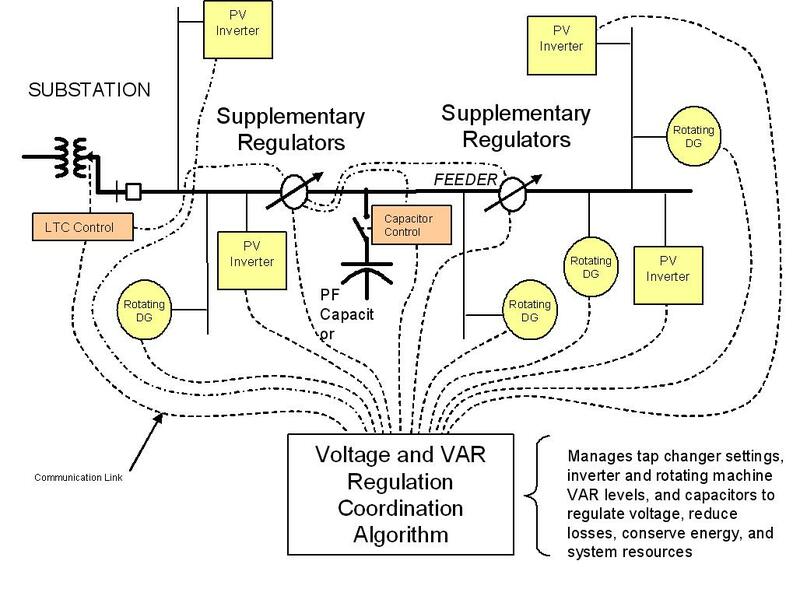 Energy utilities can incorporate preventive algorithm into their automated power distribution networks, which is capable of performing preventive maintenance. 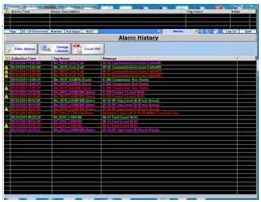 This algorithm schedules maintenance of the electrical equipment in a timely manner. This can reduce the labor costs, maximize the operational capacity and increase the life of the equipment, lowering the capital expenses. Monitoring power usage in real time, with the help of power usage monitoring equipment in conjunction with the distribution feeder, allows customers to track the patterns of their respective energy consumption and provides them with the accountability to act responsibly. This will help the customers and the utilities in reducing their energy costs. Integrating real-time monitoring control into the automated power distribution system, gives it the capability to perform power consumption calculations which can help reduce the demand charges. This monitoring control is also powered by a load shedding algorithm which is capable of optimizing the power utility and integrating power costs at regular intervals, giving users first hand information. There are many economical benefits of automated distribution systems as far as investment is concerned. Automated systems are capable of working more closely with distribution networks, pushing them to the edge of their physical limits, and reducing investment by a considerable margin. This is made possible as the automated systems have the capability of gathering accurate data of a distribution network, compared to the conventional systems. This allows electrical utilities to have a better planning, quality engineering and preventive maintenance in place. As mentioned earlier, providing customers with a better quality power supply is bound to increase customer satisfaction. Electric utilities that make use of automated power distribution systems are known to supply better quality power when compared to others. Hence by using automated power distribution systems in your distribution network, you will be able to increase the reliability of your power distribution network, thus increasing your customer base. Automated distribution systems have a large clientele base. They can be incorporated into computer networks, application systems, RTU’s, telecommunication systems, manufacturing companies and many more. In short, automated distribution systems are very much compatible and can be incorporated into almost any sector. Thus you can use them almost anywhere in your distribution network. Initially, it might be a bit expensive to incorporate an automated power distribution system into your distribution network. But ultimately, it is going to yield the desired results in the long run. It will reduce the costs of power generation, maintenance and more importantly, it will enhance the customer satisfaction levels, thus increasing your customer base. Do you agree with that list? Do you have advantages to add? 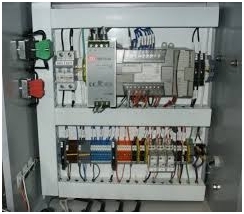 or copy this trackback: http://engineering.electrical-equipment.org/electrical-distribution/8-top-most-advantages-of-automated-power-distribution.html/trackback from your own site.